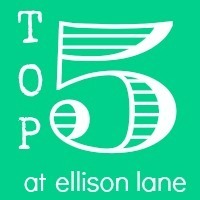 Ellison Lane Top 5...starting with pincushion tutorials! 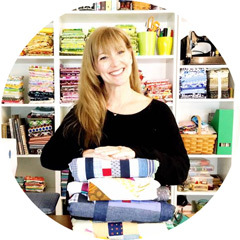 Jennifer over at Ellison Lane Quilts has such great ideas! Her new fun series is Top 5 at Ellison Lane! The Top 5 what you ask? Well just you wait and see. That's the beauty of this series- there are no rules. The top 5 will cover all sorts of topics, tutorials, inspiration, travel, music, books and beyond. Really, nothing is off limits. The first of the series is PINCUSHION TUTORIALS!!!! NO ONE can ever have too many pincushions!!!!! Jennifer was kind enough to include the Cathedral Window pincushion tutorial that I made for Sara so long ago! THANK YOU JENNIFER!!!!! MUWAH!!!! To see MORE great pincushion tutorials go visit the Top 5!!!!!! Thanks for passing along the info. I think I'm in love with your cathedral window pincushion! I love this pincushion!! I go make this! !